Clarice Krotz, 69, Grand Maris, died Friday, January 11, 2019 at North Shore Health in Grand Marais. Clarice was born December 17, 1949 to Clarence and Dorothy (Rindahl) Krotz in Grand Marais, where she was a life-long resident. In 1965 at 16 years old, Clarice soloed our father's J3 Piper Cub airplane on floats. After high school graduation in 1967, she enrolled in the University of Minnesota, Minneapolis, majoring in History. 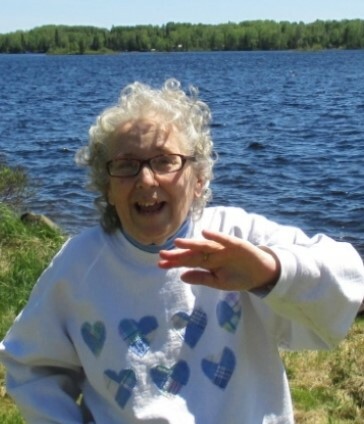 She returned to Grand Marais and worked for many years at the family resort, Skyport Lodge. Clarice enjoyed doing artwork, visiting with family and friends and reading the Bible, which she did cover to cover many times over! Clarice was preceded in death by her parents. She is survived by her sisters, Ginger Berglund and Kathy (Doug) Finn; and nieces and nephews. A Memorial service will be held at 1 PM Thursday January 17, 2019 at Bethlehem Lutheran Church in Grand Marais.